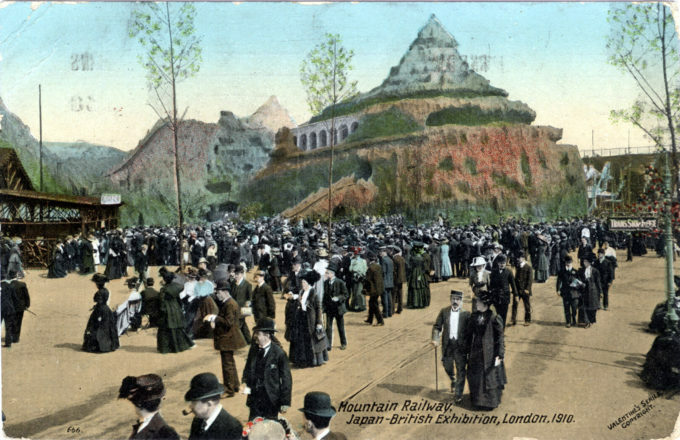 “The Mountain Railway was one of the most exhilarating attractions at White City. It was a permanent attraction there and [was] featured in all the exhibitions at White City from 1908. 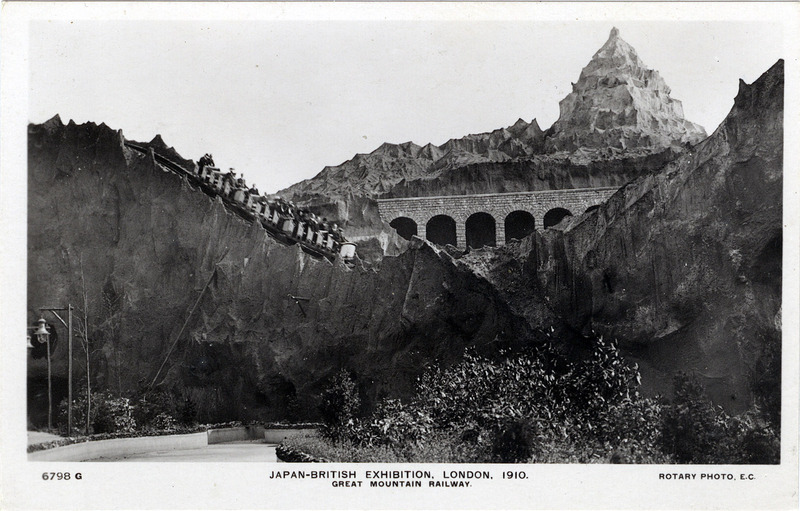 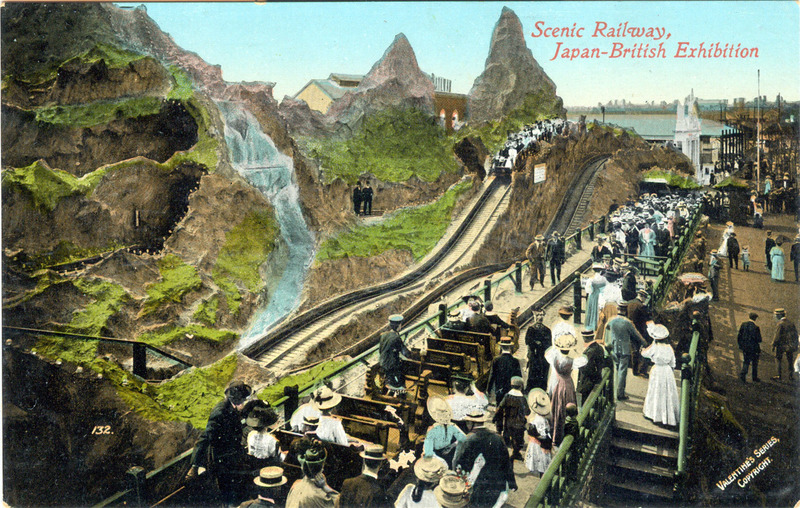 “Scenic Railway”, Japan-British Exhibition, London, 1910. “One hundred and fifty acres of sight-seeing and amusement, forty of them under cover, and available in case of those thunderstorms which happily did not come yesterday, what more could the most enthusiastic ask for? 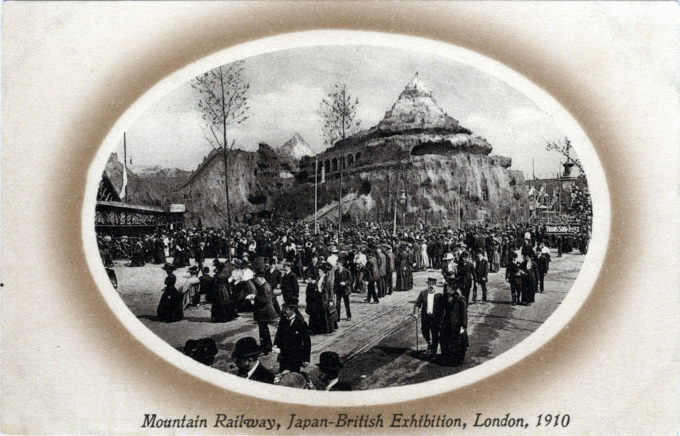 … Here was a veritable world of pleasures in all the dainty setting of green lawns, bright flower beds, and well-kept paths, which the Japanese and English gardeners have conjointly evolved out of last winter’s wastes.